Time passed and I found myself in some very strange places, with very few computers and almost no internet. It was Windows 2000 all the way baby, and after a while I found myself begrudgingly respecting the stability of the Redmond born beast as it powered on through conditions that few OSs have or will ever have to face. A fierce invalid home from hot climes and in need of a personal computer, I dug out my old Powerbook and installed the version of OS X that had been released whilst I was away from the online world. It ran like a dog. I maxed out the RAM, put in a new HDD and it still screamed "REPLACE ME" everytime I started it up. Unfortunately, the modest amount of money I had made during dot.com 1.0 had been long spent and several years of service in the common good had reduced me to near poverty myself. Spending even more money on buying a new computer was out of the question. I asked one of the neckbeardsI knew and he suggested I try this new Desktop Linux Distro called Ubuntu that everyone was raving about it. With nothing to lose but my sanity I bit the bullet and downloaded the Ubuntu ISO image and after accidentally making a few coasters with my girlfriend's Windows XP machine, I was up and running. The first thing that struck me was how pleasant the Desktop was. The Ubuntu humanity theme was, and still is, a very well crafted visual experience. 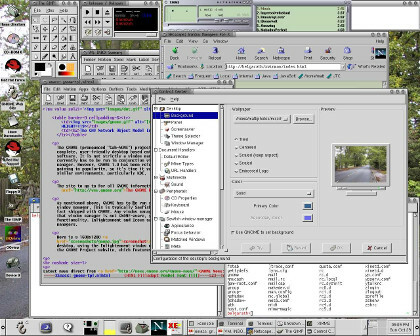 The Gnome Desktop itself was significantly less cluttered and distracting than I remembered. Rather than being a hodgepodge of the worst elements of the Big Two, it had mostly synthesised the best of both worlds. Things worked as expected, for the most part, and if they didn't, that was because there was a different paradigm at work rather than a bug or unimplemented feature. What's more, I could finally use my Powerbook again without wanting to throw it out the window. The Gimp took some getting used to, but only because I had been a top Photoshop jock and the muscle memory for keyboard shortcuts takes time to retrain. There was some pain, to be sure - the Lombard was a PowerPC after all, and not all the packages were available as binaries. The Package Manager itself left a lot to be desired and on at least one occasion I was painfully reminded that with great power comes great responsibility as I watched the system literally melt away in front of my eyes as I had accidentally uninstalled the Desktop. Still, I was happy and totally hooked on Linux and Open Source, even if the Desktop experience was still pre-XP. And then the schism happened. The Gnome developers decided it was time for a revolution instead of evolution and Canonical decided to go its own way with Unity. It was like your parents breaking up and your Mum's new boyfriend moving in a week later. Unity was weird and didn't seem to work properly and the same could be said of Gnome 3. I had customised my Desktop with Docky and had set up a bunch of silly effects that never failed to impress (most people just assumed it was a Mac at first, ironically enough) and that was all about to change when Unity became the default. The apocalypse never happened though, I quit my job and bought a Netbook which came with Ubuntu and Unity preinstalled. Suddenly this weird new UI made sense, given that a Netbook's screen "real estate" would only be called generous if it were a New York loft apartment. Within a few short iterations (I love 6 monthly releases) the candy coloured task bar could be hidden and a few more tweaks made it pass from being barely usable to bearable to barely noticed. By the time I was back working a normal sized computer, Unity had matured to the point where I didn't even give it a second thought. Thanks to the considerable amount of time and money poured into Ubuntu by Canonical, I had a stable, functional modern desktop that didn't get in the way. I would have stayed completely oblivious to the inanity of the Linux Desktop Wars if not for the occasional foray into various forums in search of solutions or drivers. I didn't care - what I had worked for me(tm) and boy was it working. Tasks like analysing electoral data by postcode or the cycle of water flows in river catchments and producing high quality visual representations for the web or print. The sort of things that sound like the pitch for very expensive, specialised proprietary software, but available for free on my computer with a single command. This to me was the Linux Desktop that had been long promised - a toolchain of powerful applications accessible through an interface that made them easier to use, not harder. I was more interested in tweaking the precision of my models than any bling. After a few months I realised that my desktop background was still the default. I rarely saw it anyway and I had long ago disciplined myself to resist the siren call of the Desktop folder. Sitting there crunching a massive dataset using purely open source tools, some of which I had written myself, I sure didn't feel like a N00B. I didn't give it another thought until I went freelance and bought myself a new laptop, the one I'm writing this on today. No matter what I did, I couldn't get the internal Bluetooth adapter to work, either in Windows or Linux. 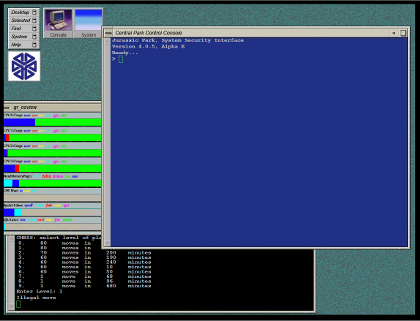 I had read on some forums that the particular chip worked under Mint, so I downloaded the Live CD and tried it out. I wasn't thrilled with the idea of having to switch my OS, and I figured I might be able to isolate what about the Mint configuration made the device work and replicate it on Ubuntu. I was under-whelmed to say the least, and couldn't fathom what all the fuss was about. As far as user interfaces go, my laptop came with Windows 7 installed on it already, why would I opt for an inferior knockoff? In any case, it didn't work - the situation, and configuration, was exactly the same. Finally figuring that the actual hardware itself must be faulty, I popped the case and lo and behold, it was faulty alright, in so far as it wasn't even there. Unlike Windows, Linux wasn't lying, there was no Bluetooth adapter at all. I rechecked all of the paperwork and ... it turns out my particular laptop was a regionally specific model that came without the combination Bluetooth/WiFi that everybody else in the world got. D'oh. Oh well, good to know, especially since that meant I didn't have to install Mint just to be able to use my new Bluetooth headphoes. And so it was for many, many moons. Ubuntu and Unity got progressively more stable and continued to perform almost flawlessly in a mission critical production environment - one where actual lives really were at stake. The interface shone by not shining, by being there when it was needed and not when it wasn't. I was at one with my desktop. Om. Then a serpent entered the garden, it started with a little personal project that would potentially run on Gnome as well as other desktops. In the spirit of best practice, I installed the Ubuntu Gnome Desktop package to see how my app would run under this much maligned interface. 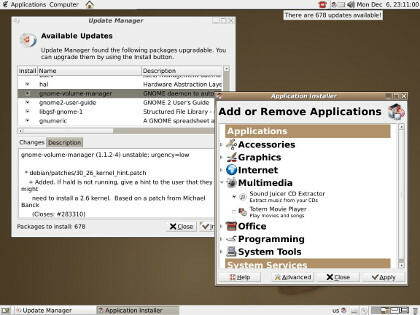 I was wary, having read a lot about how the over simplification of the Gnome shell had rendered it unusable for many, that it would be difficult to do common tasks that had once been easy and I would have to install a bunch of third party extensions to be able to get anything done. I was set up for a quick get in, get the screenshot and get out. I nervously logged in, not sure at all what to expect. The immediate thing that struck me was the freshness of the interface. Everything moved with a fluidity that was pleasing to the eye. The applications I needed to use were at most two clicks away, and when launched they took over the interface, becoming the sole focus. It took almost no time to figure out this brave new world, especially when things like multiple monitors worked right out of the box. I felt more productive immediately - this was not what I was expecting at all! The naysayers in many of the forums I had visited had clearly written it off at the beta stage, perhaps a little hastily, as it appeared to have blossomed from an ugly duckling into a beautiful, black swan. 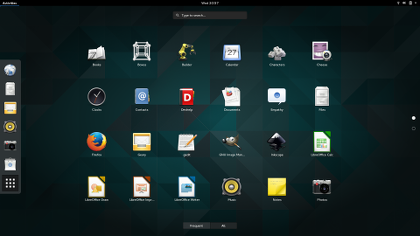 Much of the criticism levelled at Gnome 3 and Unity when they first appeared was that they were too strongly focused on emulating the touch driven interfaces of Android and iOS devices. A great deal was made of the assertion that what works on one platform doesn't translate to another and that the Desktop and the Handheld were fundamentally separate and irreconcilable paradigms. This may have been the case in 2009, but the present is a foreign country from the past, one where they do things differently. If I needed any convincing that this much heralded convergence of the handheld and desktop platform was more than hype, it was when my wife brought home her first Microsoft Surface. There it was, in one sweet, flyweight package, a full powered computer with a super responsive touchscreen. Sure, others had tried before, but M$ have really nailed it with this one. It's no surprise it's the cornerstone of their future hardware strategy and viewed in this light, the Windows 8.0 fiasco looks more ill timed than ill conceived. It's little wonder that Apple have been holding off on merging the Mac OS X and iOS platforms, especially since they don't seem to have a Surface killer lurking in the wings. For me, it's a bit of tragedy that this should have happened to the Linux Desktop as well. The user base was and is always going to be small - but that's OK. Despite what it might seem at any Linux conference these days, Mac OS X is not ubiquitous in the wild. Since it saved the Mac as a personal computer platform from obscurity in 2001, it has only increased its market share by some 6-7% and it's extremely unlikely that it will grow any further. Being a "niche" OS hasn't hurt Mac OS X one bit, nor has its deliberate lack of theming features - another complaint often levelled against Gnome. If the Linux Desktop is going to be niche though, it should be in the vanguard, not the fringe. The original, not the cheap knockoff. In any case, I'm sold. I now run Gnome exclusively on my Ubuntu laptop and have installed Fedora 23 on a recycled desktop with a new 24" multitouch monitor. I have started to rethink what the Linux User Experience should be and what as I a developer can contribute to that. 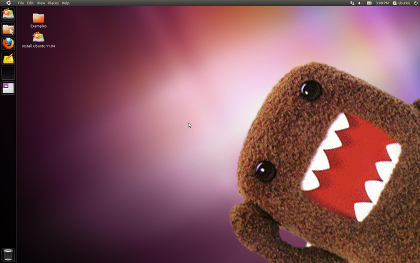 Above all, Gnome 3 has shown me that using Linux on the desktop can be fun again. Welcome Gnome, it's nice to have you back.